The city of Chicago will file suit Monday against the U.S. Justice Department over Trump administration threats to cut off federal funding for being a sanctuary city, officials confirmed to NBC 5. 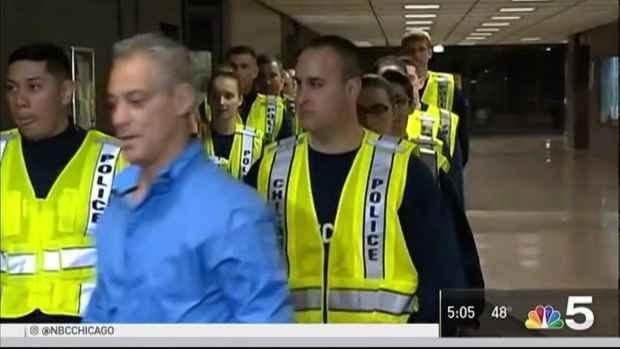 “It is wrong on a values basis; immigrants are part of our community,” Mayor Rahm Emanuel said. The suit claims the Justice Department can’t impact grants due to a policy change about undocumented immigrants, Emanuel said. The Justice Department declined to comment. The White House did not immediately respond to request for comment. Attorney General Jeff Sessions said last May local governments refusing to cooperate in deporting convicted criminals risk losing their Justice Department and Department of Homeland Security grants. The $3.2 million Byrne Memorial Justice Assistance Grant, which is used in Chicago to buy police equipment and technology, is on the chopping block under the administration’s threats. Sessions issued a memo in response to an executive order issued by President Donald Trump in late January directing the attorney general and the secretary of Homeland Security to ensure that sanctuary cities will not be eligible to receive federal funds. "These are exactly the kind of training and technology you want to be investing in right now," Emanuel said. Sessions said the order "will be applied solely to federal grants administered by the Department of Justice or the Department of Homeland Security, and not to other sources of federal funding," NBC News reported. Speaking Friday morning at the Illinois Hispanic Chamber of Commerce, Emanuel showcased his immigrant roots. He said this year marks the 100-year anniversary of his grandfather coming to Chicago from the Russian-Romanian border at the age of 13. 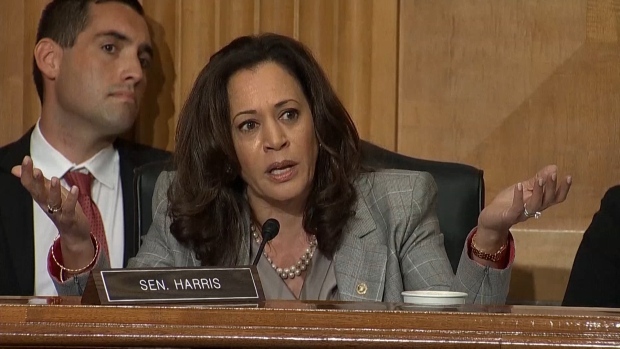 U.S. Sen. Kamala Harris (D., Calif.) and Department of Homeland Security John Kelly were involved in a tense exchange Tuesday when Harris questioned Kelly about sanctuary cities. "He came to meet a third cousin he never knew in a city called Chicago he couldn’t pronounce," Emanuel said. "His grandson is the mayor of that city—don’t anybody tell you that this city, this country is not a welcoming city,” he said, adding “and it always will be." Emanuel also called on Gov. Bruce Rauner to sign legislation that would make Illinois "like California, a welcoming state." The Justice Department is also reportedly targeting New York City, New Orleans, Philadelphia, Las Vegas, Miami, Milwaukee and California, a city official confirmed. More states and cities are likely to follow Chicago: California is preparing to sue the Justice Department over the AG's plan as well, according to the Sacramento Bee.